SSC conducts Combined Graduate Level (CGL) examination for the recruitment of Grade “B” and “C” categories posts in various Government Ministries, Departments and Offices. Every year, lots of candidates apply for the CGL exam. 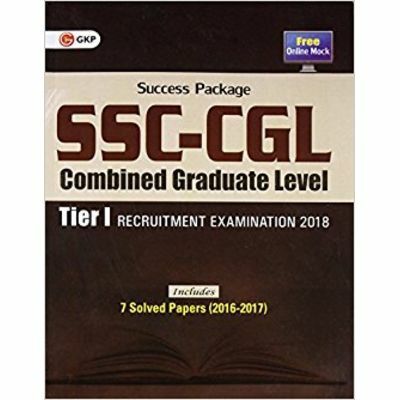 GKP provides an exclusive collection of study material for the SSC-CGL Tier-I examination. The entire preparation process has been simplified with a wide range of books such as study guides, solved papers and practice sets to help aspirants through all stages of their preparation.